How much should you pay for a digital product development? Ask yourself, what do you expect from your potential partner in a digital product development process? Is it security for your business? Long-term business partnership? Fair price? High-quality services? If you answered “YES” to all of these questions, you should definitely read on. If not, then you probably like taking risks and enjoy a surge of adrenaline when picking a freelancer, but you should read on too, maybe there’s a better way. Imagine you’re in the mountains. Choosing a digital product development partner is like choosing a climbing partner. You can try to reach your goal with a random person you met online, maybe they’ll offer to chip in for the cost of the climb, but are you concerned about saving money or getting to the top safely? Your life can depend on your choice. What matters most in the mountains is trust in your partner. My instructor told me during a high-altitude hiking course that fear was normal, but there was no place for taking risks in the mountains; he would rather climb with a person who was afraid than with a person who rejected fear and made risky decisions, putting both partners in danger. Of course, any mountain trek has risks, so you must do everything to minimize them, including choosing the right partner. How does it work business-wise? “The attempt to eliminate risks [in business], even the attempt to minimize them, can only make them irrational and unbearable. It can only result in that greatest risk of all: rigidity”. Just like going into the mountains, externalization of software development projects is risky and the choice of partner is crucial if you want to limit this risk. Ideally, you’re looking for security and a long-term partnership but the wrong freelancer can disappear overnight, without any knowledge transfer, leaving your product on the rocks. If you want to hire a good specialist in Poland for a fair price, you need to know that nowadays, $10 for an hour of a programmer’s time does not guarantee that you have chosen the right partner. Even if you find a company (probably a body shop kind) offering a price of $10 to $25, keep in mind that the developer working on your product is likely to change employer sooner or later, especially now that globalization enables them to cooperate with any western company and receive a much higher salary. You may say: “Ok, so what? My deal is with the company. They’ll replace them!” That’s true, but do you want to pay for the onboarding of someone new, waiting for them to get to know the product and then build a relationship from scratch? How much is the professional approach? The table below shows a cost analysis which I prepared based on information from several partner software companies in Poland. All of them treat their employees as the most valuable asset entrusted to clients. It is worth checking out the data published by Accelerance, which shows that an hourly rate for a senior developer from CEE is actually around $45 - $50. So, what budget do you need in order to increase the probability of finding a motivated and committed team? How much do you need to spend to reduce the risks arising from an external partner? Based on the above data, you can assume that it is worth talking with companies in the $38 to $67 per hour price range. Only then will you have a guarantee that you do not talk with a ‘body shop’ only interested in the amount on the invoice issued to you. At first glance, you may think, “Ok, but by employing a cheaper freelancer, I am paying half the price. So, even if they work twice as long, I will still have an advantage.” Are you sure? Have you considered the cost of missing the best moment to enter the market and take advantage of a business opportunity? Take a look below to better understand why it is worth working with an organization that provides complex, digital solutions to a company rather than a freelancer. As you can see, when choosing a freelance service, you basically only get “Knowledge” and “Tech Skills” for what you pay, and in today’s reality it is not enough to adequately respond to the needs of users and to the market. Note that when you work with a freelancer, you rely only, and I mean only, on them. The experience, support and transfer of knowledge in the organization are incredible values that benefit the development team. Every problem encountered while building your product can be solved using the knowledge, skills and experience of programmers working for the company. Thanks to their available synergy, companies are able to provide services of the highest quality and solve advanced problems, which would not be possible for a solitary programmer. Your positive answers to the questions at the beginning of this article show that you know that when expecting quality, partnership and security, a low price should start alarm bells ringing. The requirements and dynamics of today’s IT market oblige employers to provide specialists with appropriate working conditions. The days when a programmer would be handed a task and just mindlessly code it are long gone. The 21st century programmer is independent, has an impact on the product, proposes solutions, understands the needs of system users, and requires constant development in terms of hard and soft skills. Boldare adds a new dimension to digital product development services built on partnership and trust. 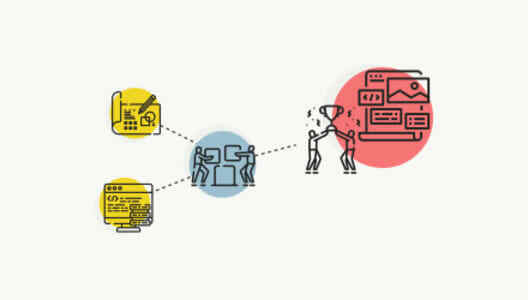 We believe that the effectiveness and motivation of our teams result not only from the remuneration itself but also from the development opportunity, organizational support, access to the best equipment and tools in an agile office and making the highest quality products to meet the needs of end users. You want to test a business idea with minimum cost, time and effort? See how to do it! How to scale a monolithic MVP application without losing business?